The dynamic application of additional information plays an important role in the creation of target documents. Attributes, metadata, and release and status information should be added to the document along with its actual content. Stamps and watermarks are in many cases the additions of choice. 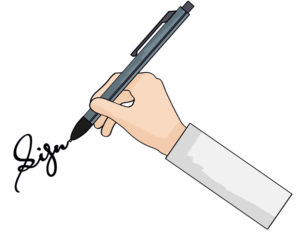 A digital Signature plays an important role in making documents’ authenticity more transparent. Through the generation of digital signatures for PDF documents, any subsequent changes or manipulations can be reliably proven. SEAL Systems enables the automatic generation of signatures from the PLM system. A standard process in the PLM system is the illustration of release processes. Often the current status must then be documented in a company-specific manner at the end of the release, and linked to the relevant documents. SEAL Systems automates the generation of this information and creates, for example, release sheets or fills out the text headers of drawings. Which additional information can be applied to documents? Release status label: “RELEASE” in large print across the entire drawing. 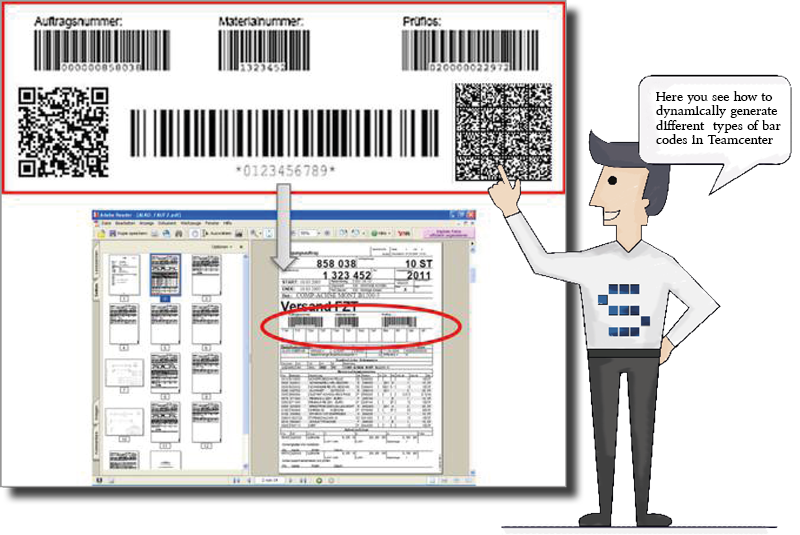 Bar codes can also be automatically generated through software. There is no need for the printer model’s hardware support. 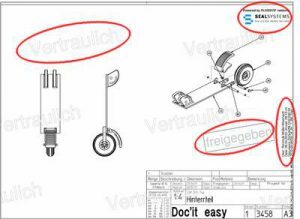 SEAL Systems has its own tool for the creation and application of stamp information in neutral formats (PDF/TIFF). The graphic layout and placing of the generated stamp can in this way be highly flexible and dynamically adapted. How can stamp and watermark layouts by configured? Stamps overlay the document’s content. Watermarks overlay the document’s background, without covering the content. What text attributes are available? Text alignment (centered, justified left or right, mirrored. Which stamp and watermark attributes are offered?